'CHAMBERS: The Cebu Project' is an unprecedented trove of objects from the island of Cebu which encompasses the furniture, home décor and fashion accessories sectors. Cebu was proudly represented at October 2017’s Manila FAME through the 340 sq m booth of Chambers: The Cebu Project. 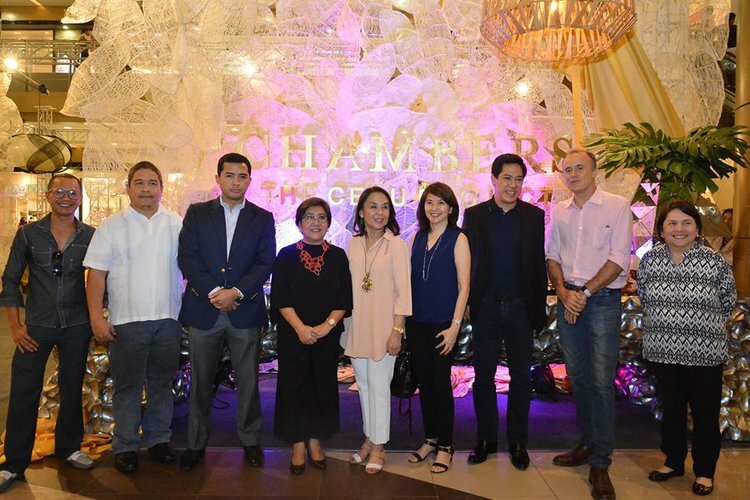 It convened three industries, Cebu Furniture Industries Foundation (CFIF), Cebu Gifts, Toys and Housewares (GTH) and Cebu Fashion Accessories Manufacturers and Exporters (FAME). The name came from how chambers denote the houses in parliamentary governments as in upper and lower chambers. It also means rooms. Chambers: The Cebu Project is a literal reference to the activity. Its goals were to promote the province, market the different industries, sell products, and reclaim Cebu's place as the furniture capital of the Philippines. It all began when the Center for International Trade Expositions and Missions’ (CITEM) Executive Director, Clayton Tugonon challenged Department of Trade and Industry (DTI) Region 7's Director Caberte to put up a Cebu province showcase at the Manila FAME, to which Director Caberte responded with her support. After a meeting with the Governor, the Province also showed their support. After a series of meetings, CHAMBERS: The Cebu Project became a definite inclusive project for the promotion of Cebu. Thirty five companies represented the industries and capabilities present in the Cebu province. The 340 sq m-booth, featured furniture, furnishings, fashion accessories, and food. The entire booth conceptualized a hotel setting and also highlighted the fact that Cebu is a resort destination. The collaboration of the three industries, the DTI Region 7, and the Province of Cebu is unprecedented. Furthermore, last January 2018 at SM City Cebu, this project was successfully re-launched in order to strategically market with the hype of the Sinulog festival. Both events garnered positive sales turn-outs. Everyone is hopeful that this success will continue.